Filipinos in Phitsanulok set a luncheon meeting with the top officers of Phitsanulok immigration on March 5. 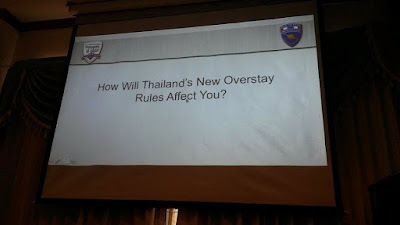 The said meeting discussed and clarified the announcement made by the Immigration Bureau regarding the overstay blacklisting, which will take effect on March 20, 2016. Pol. Capt. 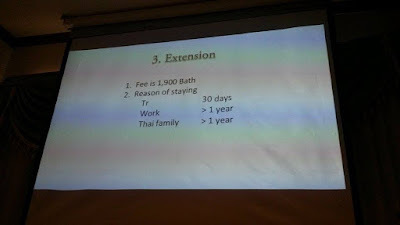 Upinya Boonruangnam delivered her presentation titled “Rights and Duties of Staying in Thailand.” She started with an explanation as to how foreigners can get a visa. 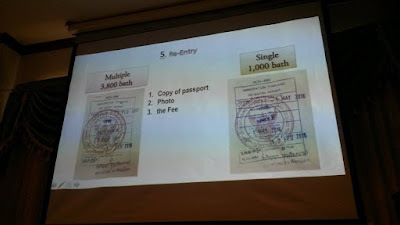 Her next slide talked about the permitted date of stay as shown on the stamp of the immigration, which you can clearly see from the photo below. 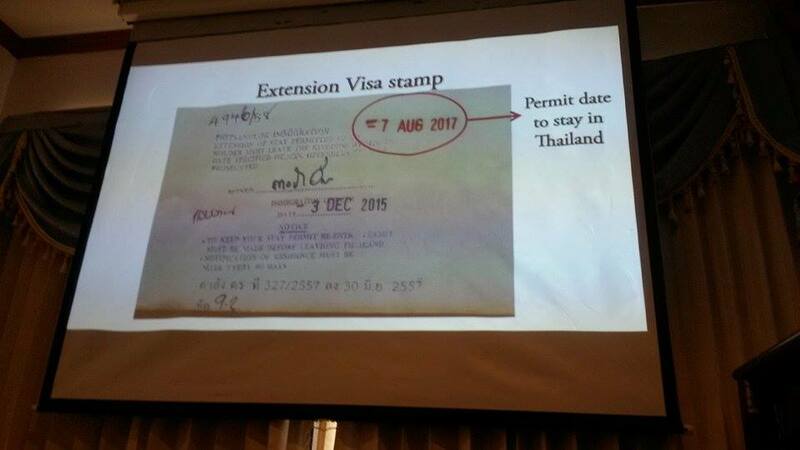 Followed by the visa extension. 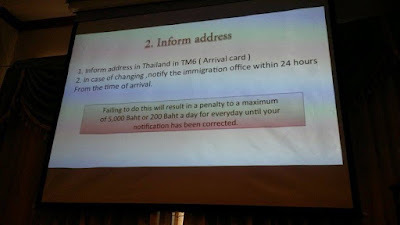 Informing the immigration of our address. 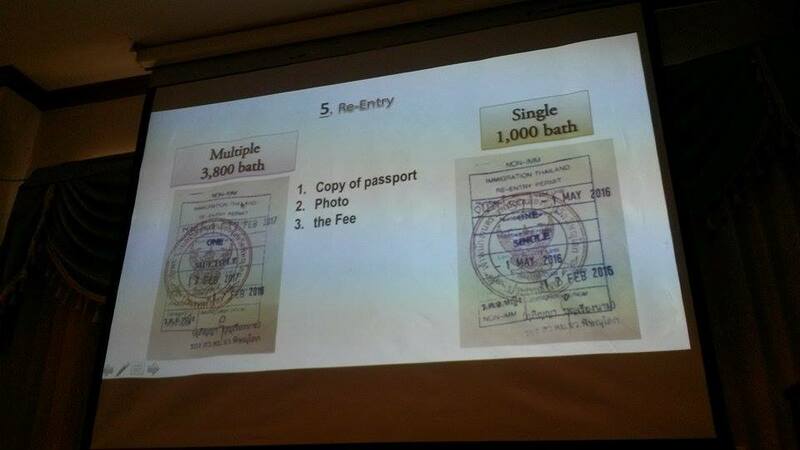 … and the re-entry permit. 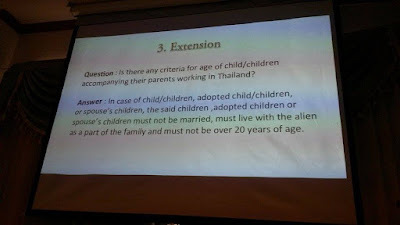 Everyone were all ears when the topic concerning children below 18 years old was brought up. 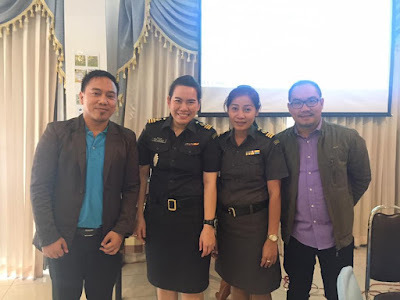 I must admit it somehow took the worries and uncertainties away hearing the immigration officer first hand as she answered the questions being raised. But then again, officers and immigration offices in different parts of the country mostly take things differently. Anyhow, let me explain what was discussed in a manner everyone will easily understand – at least in my own thinking. 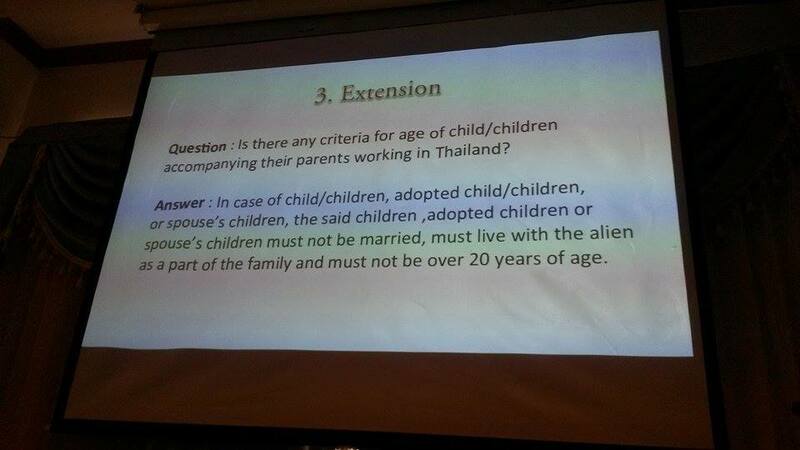 If your child was born in Thailand; has a passport but hasn’t gone out of Thailand yet (no stamp), he/she can stay in the Kingdom until 18 and won’t be liable for violating the overstay rule. Those who are waiting for the release of their passport from the embassy won’t be violating the new rule either. 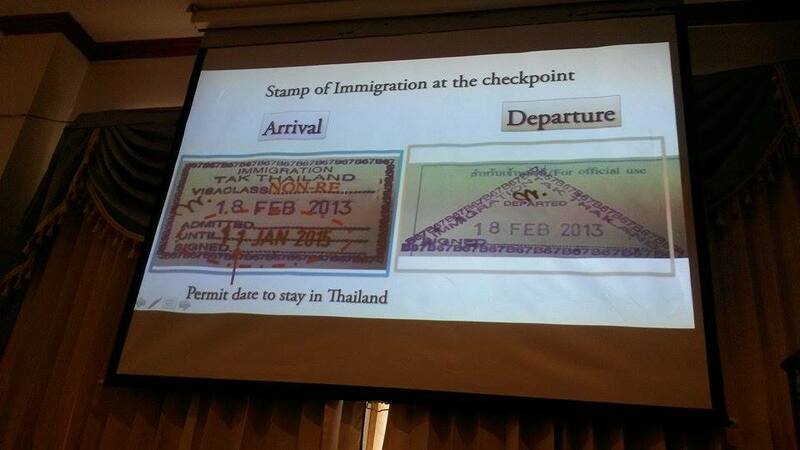 No passport means no stamp yet, right? 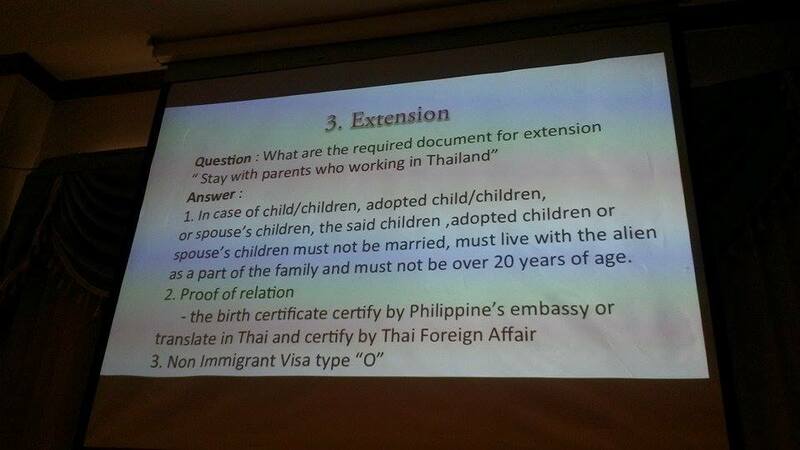 The new rule applies to children who were born in Thailand, under 18, but already have stamps on their passports, as well as those born in the Philippines but are now residing in the Kingdom with their parents. My daughter who was also born in Thailand and will be turning four in July has been to the Philippines twice. The last stamp on her passport was two years ago. So technically, she has overstayed for two years now. 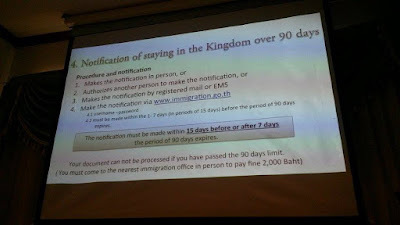 We plan to visit the Philippines again next month, but the effectivity of the rule is on March 20. So what now? Can we just ignore this new law for the time being and process the visa when we come back? Will she be fined? I raised these questions to the officer and this is what she told me. She said that kids should have a valid passport and a visa. The new law which will be reinforced states that. She also added, that a child under 15 years old won’t be fined of overstaying and won’t be barred from re-entering. 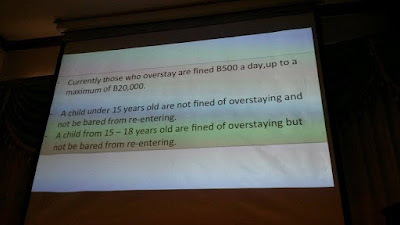 A child from 15 – 18 years old will be fined from overstaying but will not be barred from re-entering. This is not a law, she said, but an exemption to the law. 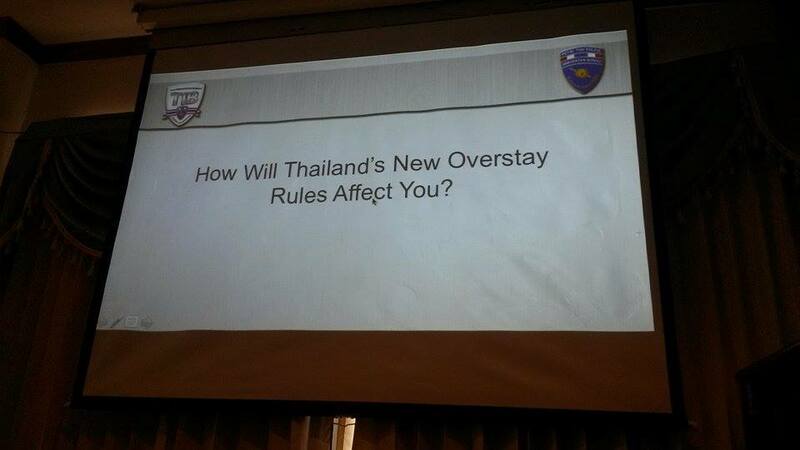 If we leave on the 9th of April, her passport will be stamped with an “overstay” but she won’t be fined. When we come back, we can then process the non immigrant O visa at our local immigration (change of visa from tourist to non O) since our daughter will receive a new 30-day stamp at the airport when she enters the Kingdom of Thailand. 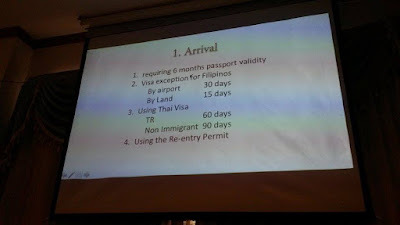 Children who are technically on an overstay visa but aren’t planning to go to the Philippines or any other countries, and wish to process the required visa, they must do so in another country, say for instance, Laos. That’s because they don’t have a valid stamp on their passports yet to do the said process in their local immigration. But then again, she added, getting a visa for my daughter before March 20 is better as oppose to just ignoring it.